I know for a while, we’ve all been thinking about gifts and gatherings and getting our families ready for the holidays, and now we’re all cleaning up and returning and reorganizing and trying to be good and healthy about everything, but there’s something everyone must do now. 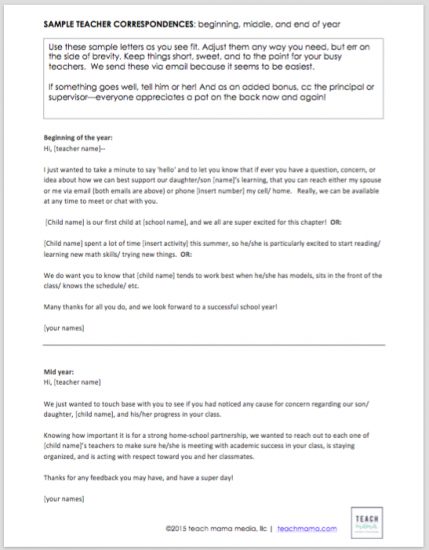 I’ve got a must-send email to teachers from parents for you. 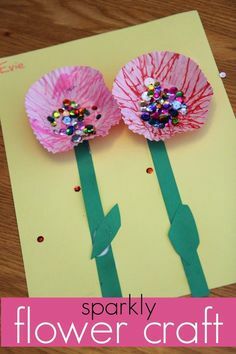 You need to touch base with your children’s teachers. Now. Because there’s no better time than now to really know how your child is doing, what your child is doing, and how you–as a parent–can best support him or her. Not sure what to do? What to say? Well read on for everything you need. I try to touch base with Maddy, Owen, and Cora’s teachers at least three or four times a year–at the beginning of the school year, before winter break, in March, and again in June. And even though grades are available online now–we can simply log into the parent portal and see grades for every assignment–I think it’s important to make contact with the teachers anyway. Grades are only one part of the school experience. 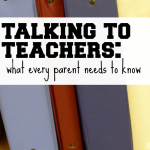 As a teacher myself, knowing that a student’s parent is ready and eager to take an active role in his or her child’s education is not even a little bit of a pain. It’s helpful. Encouraging. And awesome. Believe me, my emails to these busy teachers are not long. They’re quick and to the point. 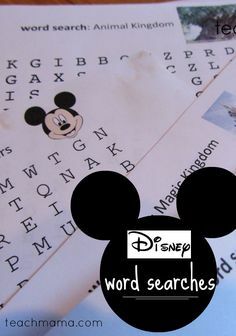 Use these sample letters as you see fit. Adjust them any way you need, but err on the side of brevity. 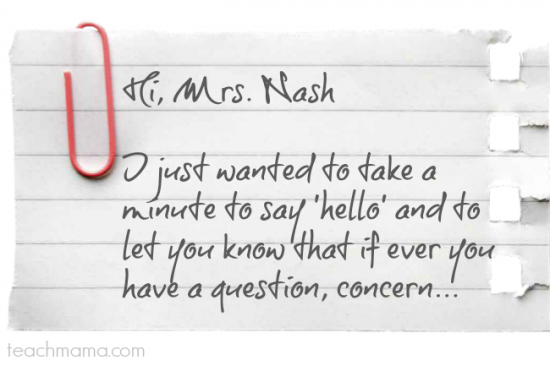 Keep things short, sweet, and to the point for your busy teachers. We send these via email because it seems to be easiest. If something goes well, tell him or her! And as an added bonus, cc the principal or supervisor—everyone appreciates a pat on the back now and again! 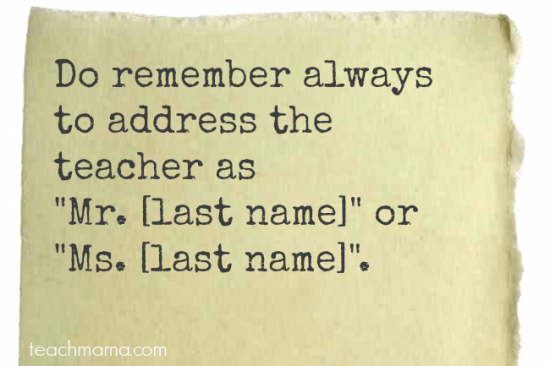 Do remember, though, always to address the teacher as “Mr. [last name]” or “Ms. [last name]”. You are not the teacher’s friend, and even if you are, in the school building you should refer to him or her more formally than you would otherwise. I just wanted to take a minute to say ‘hello’ and to let you know that if ever you have a question, concern, or idea about how we can best support our daughter/son [name]’s learning, that you can reach either my spouse or me via email (both emails are above) or phone [insert number] my cell/ home. Really, we can be available at any time to meet or chat with you. We do want you to know that [child name] tends to work best when he/she has models, sits in the front of the class/ knows the schedule/ etc. Many thanks for all you do, and we look forward to a successful school year! 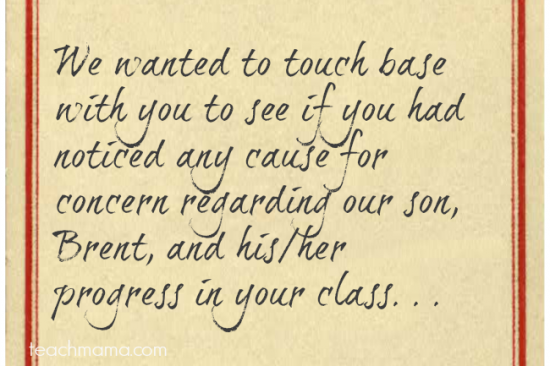 We just wanted to touch base with you to see if you had noticed any cause for concern regarding our son/ daughter, [child name], and his/her progress in your class. Knowing how important it is for a strong home-school partnership, we wanted to reach out to each one of [child name]’s teachers to make sure he/she is meeting with academic success in your class, is staying organized, and is acting with respect toward you and her classmates. Thanks for any feedback you may have, and have a super day! We hope you are doing well. As the [winter/spring] break from school approaches, we wanted to reach out about our son/daughter, [name]. 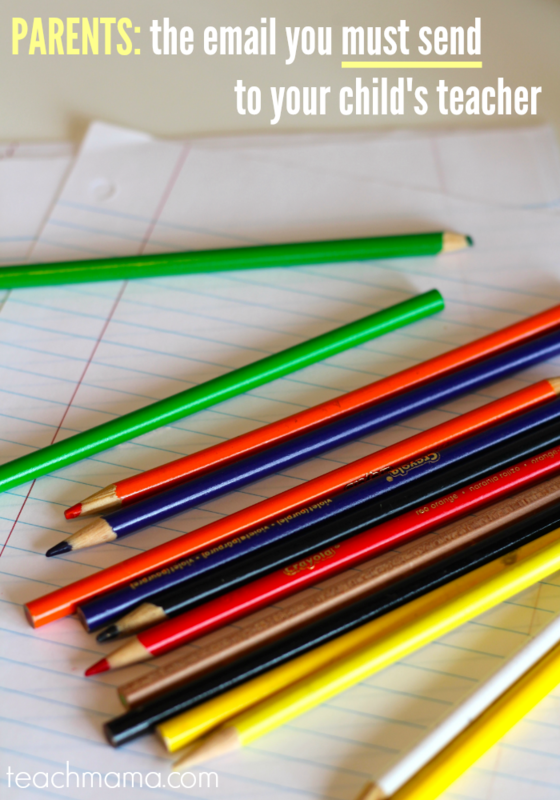 Though we know it’s important to have a well-deserved break from the everyday grind of school, we do want to maintain some consistency for [name] and make sure we include some literacy, math, or science activities over break. 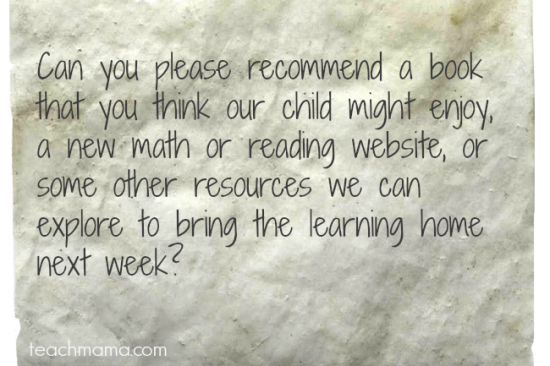 Can you please recommend a book that you think our child might enjoy, a new math or reading website, or some other resources we can explore to bring the learning home next week? We just wanted to touch base with you as the school year winds down, to see if you had any suggestions or ideas for things we should work on with [child name] over the summer. Anything you think would help him/her academically, socially, emotionally—anything!—to prepare for grade [next year’s grade], we’d love to hear it. We also want to sincerely THANK YOU for an amazing year. [child name] absolutely adores and respects you, has truly enjoyed class, and has learned so much this year. We are so grateful for all you do for your students and their families. Many, many thanks for all you do, [teacher name]. 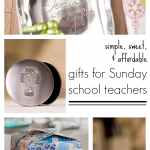 Both your dedication to your students and your gift for teaching are truly appreciated! You may be surprised at how much information you receive. Friends, teacher want to communicate with you! 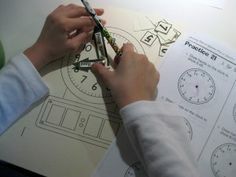 Do you want these sample letters (2-pages of ideas!!) as a quickie printout? Just throw your email in the box below, and the letter will magically appear in your inbox! Let us know what you think–are these the things you’d say to your child’s teachers? I’d love to hear it! Great idea! I don’t ever think of emailing my kids’ teachers. but now both my girls’ classes are using a system called freshgrade so we are constantly kept up to date on their progress. It’s amazing. thanks, Susan!! I LOVE that grades are now accessible online–makes SO much sense, right?